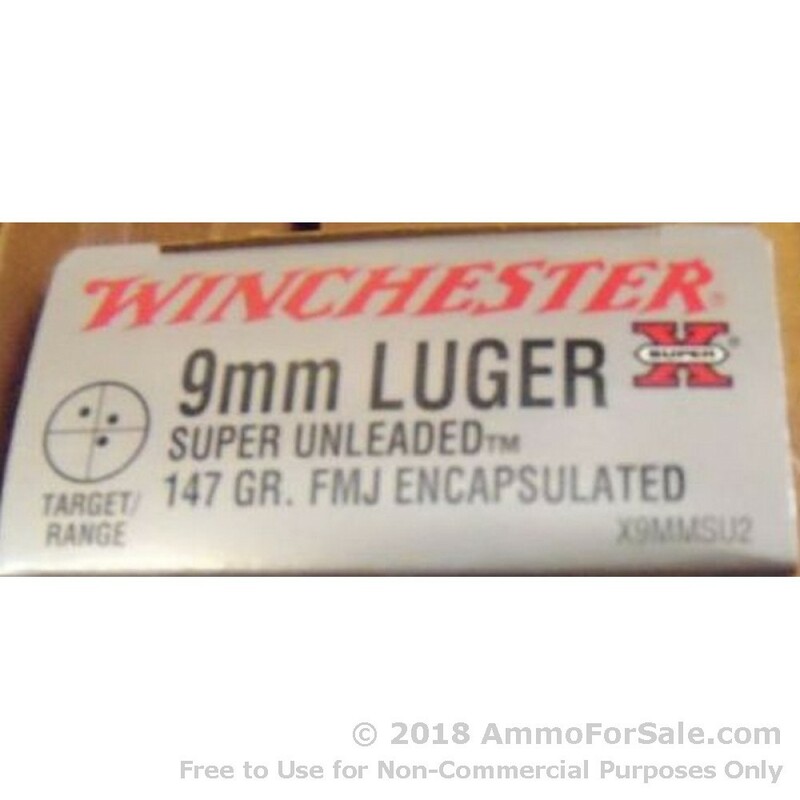 If you know guns, you know Winchester. Even those who don’t know guns tend to know the venerable company. 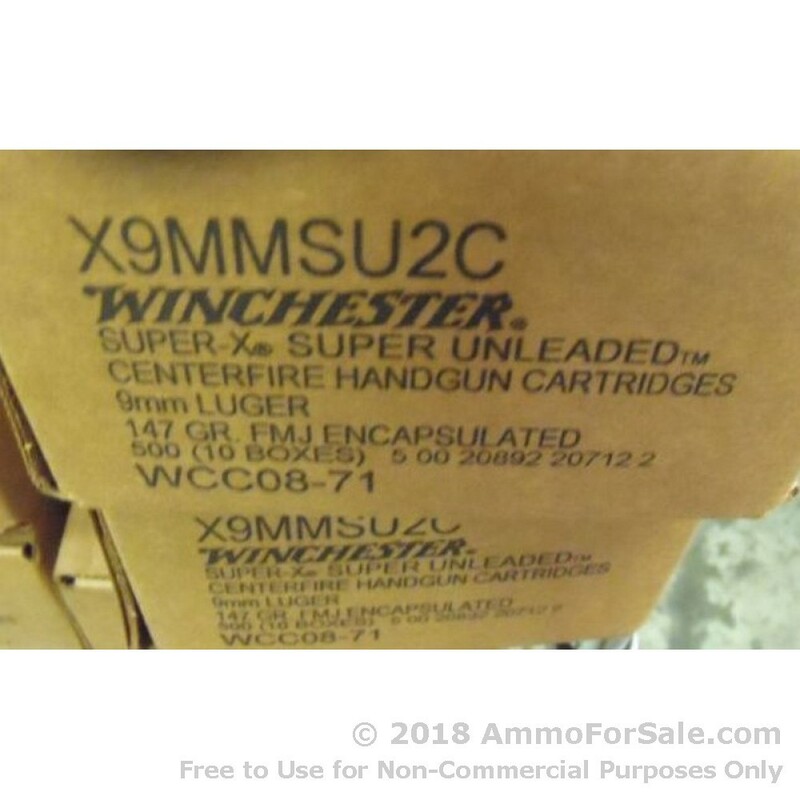 Their reputation precedes them, as well it should, because when it comes to ammunition, Winchester has it all: longevity, loyalty, and, most importantly, deeply-rooted dedication to quality. The company was founded in 1866, and for 150 years (plus a few) they’ve been manufacturing superior ammunition right here in the U.S. – and not just ammunition; they make firearms, too. When your gun’s hungry, feed it more than a bit of brass and powder; feed it a piece of history. Feed it with Winchester. 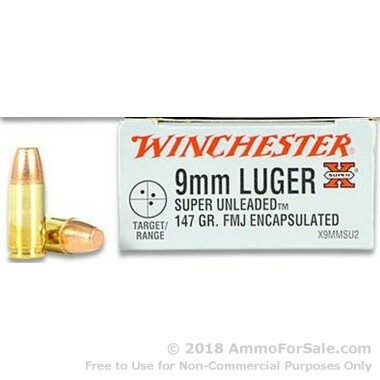 The 9mm, although not quite as historically rich (yet) as Winchester, is still a well-known cartridge with a constantly-growing reputation. For more than a century numerous experienced shooters have been turning to the 9mm for protection and pleasure, and whichever reason you have for owning a 9mm handgun, you need range time. These are FMJ’s, which do not expand on impact – as the NRA says, always be aware of your target and what lies beyond it – and these rounds are fantastic for target practice, shooting drills, and putting holes in a random assortment of stationary targets. 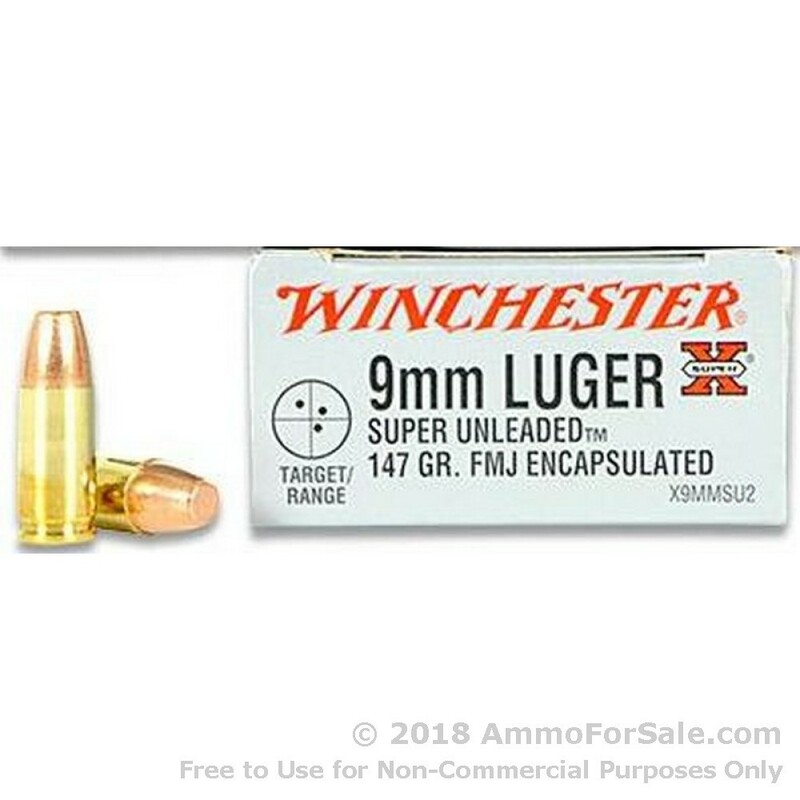 And because these are Winchester’s Super Unleaded and encapsulated rounds, they keep the air cleaner when you shoot, and that’s good for your lungs and everyone around you, too. By manufacturing these rounds at a medium-weight 147 grain, Winchester gives you a nice balance of speed and power. These rounds fly from the barrel of your gun with a muzzle velocity of 990 feet per second and reach out and touch your target with a muzzle energy of 320 foot-pounds. They’re made in fresh brass cases with boxer primer, so they can be reloaded, and they’re specifically designed to be non-corrosive, which extends the life of your gun’s barrel. There are just 50 target rounds in this box, which is a fine place to start. Load a few mags and hit the range, but remember, once you start, you’re not going to want to stop – so why not order two?